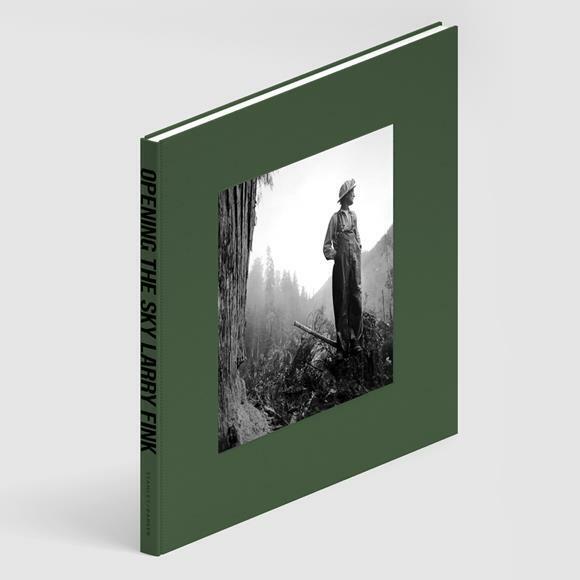 Books In-Stock at photo-eye: Signed Titles from Larry Fink, Martin Parr, Ren Hang, Cristina de Middel and Andre Cepeda. In 1980, the American photographer Larry Fink received a grant from the Seattle Museum of Art, or as he tells the story, ‘My star was starting to rise. I was called.’ Already a logger of sorts himself, Fink made a natural transition into photographing the rugged breed of men who selectively pillaged the deep, virgin forest of the Olympic Peninsula, in western Washington. British documentary photographer and photojournalist Martin Parr turns his lens on the vibrant metropolis of Hong Kong, where his characteristic take on aspects of modern life continues at times to be both intimate and satirical. This series of images portrays familiar and everyday scenes of leisure, consumption and transit in the city. Food is a central theme, though Parr often seeks out those things which may be curiosities to Westerners. Hang’s work in Athens Love includes casual snap shots taken of friends in various locations in Athens and Attica, Greece, such as the beach, woods, cliffs, streets, and apartments. Expressing his awe of the dynamics in nature, Hang responds to it in high spirits, his sense of humor reflecting in the composition and colors of his work. Away from his more politically strict and constraining home in China, Hang enjoys the more relaxed and playful energy in his photographs, and renders his abundant creativity in new avenues of expression. Sharkification is about the "favelas" and the Brazilian government's strategy to attempt to control them during the soccer World Cup by involving armed units. It created a militarisation of the communities, where suddenly everybody becomes a suspect. The shark metaphor aims to explain the dynamics into place. "I used the comparison with a submarine world to imagine that the favelas are a coral reef where there are predators…" When most of the photojournalists keep trying to play with feelings, Cristina de Middel uses humour, which seems to be a more intelligent way to look at things and that helps people becoming more curious. Cepeda makes the beautiful more white than black large format photographs look spontaneous and free. A book about the process of photographing, about film. A desire to touch and enlighten all things around us.